Hi everyone, it’s Walter here. 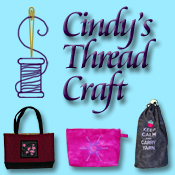 A few weeks ago we received a gift from one of our blogging friends Mr. N, the Tenacious Little Terrier. He also has a Facebook page that our mom checks on for us. On Facebook he asked his friends to caption a picture for a small prize and we won a penguin! 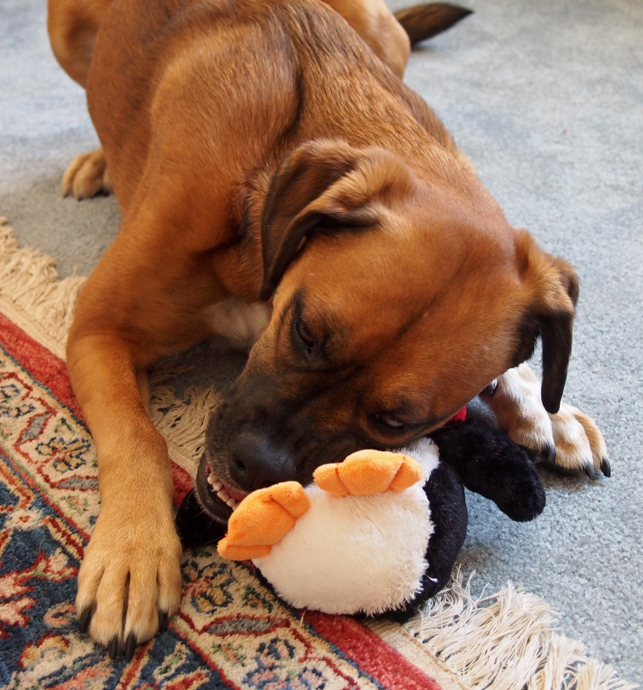 We have had quite a few days where it has been too cold to play outside so mom decided she would let me play with the penguin. 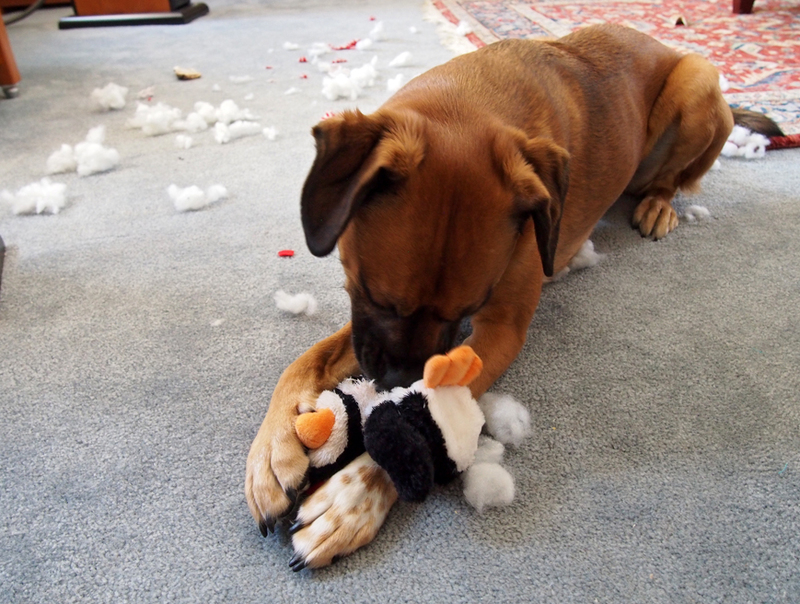 I’m a lot like our friend Easy when it comes to stuffies. Scroll down to see all the fun I had. Is there something stuck in my teeth? Now on to the intestines! What? Is there something on my lip? That was a great half hour of work. I’m exhausted! Boy did I ever have a great time. I think Easy would be proud of my skills. 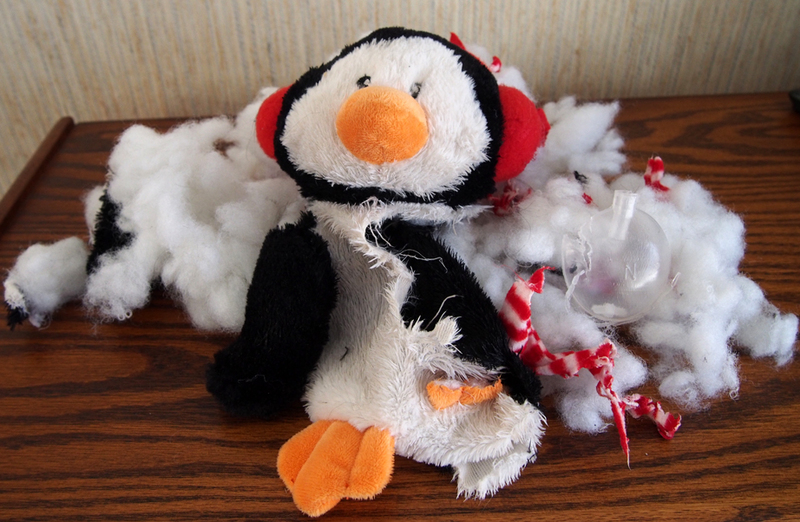 It took me over a half hour to create that pile of fluff from that penguin. 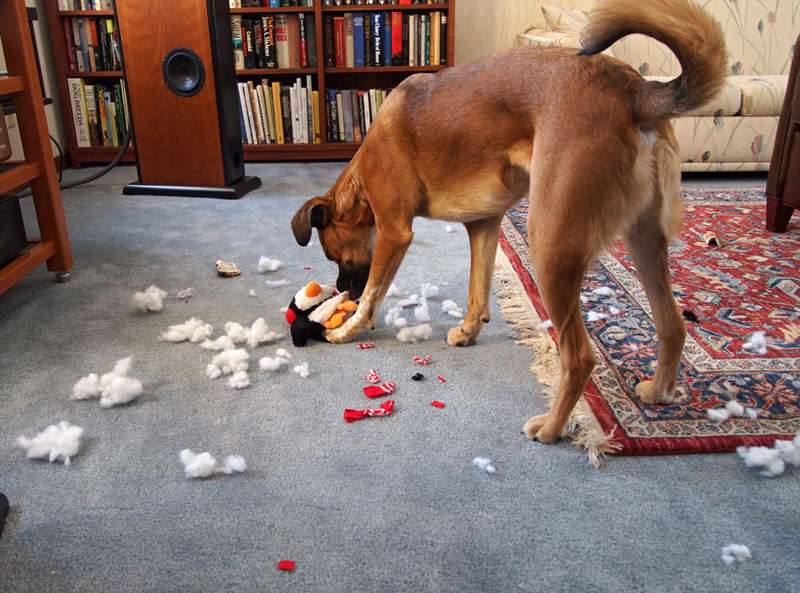 As you can see I was very good and didn’t eat any of the stuffing or other bits I ripped out of the penguin. After that my mom got her exercise by picking up all the trash off the floor. BOL! Thanks Mr. N for giving me something to do on one of our super cold days. Wow you made quick work of that guy. The smile after the destruction cracks me up. So please with himself. Walter, you’ve done good! Way to go!!!! Now pat yourself on the back and take a nice deserved nap!! BOL Walter! 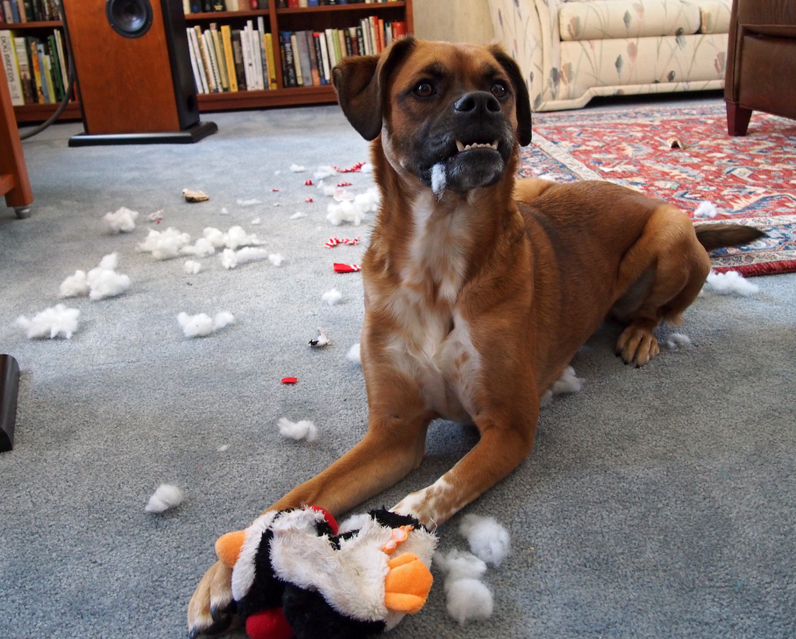 You do NOT look tired after destuffing that Penguin…you look PROUD! Oh you and Easy are two peas in a pod! Walter my mom is rolling on the floor! One thing we will say is you are a very neat de stuffer a few pieces at a time! 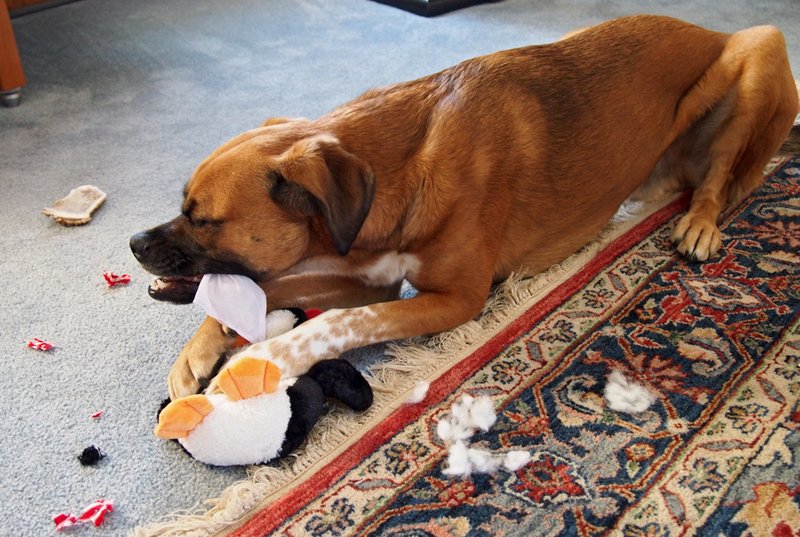 Walter, you certainly enjoyed that penguin! Glad you liked it. 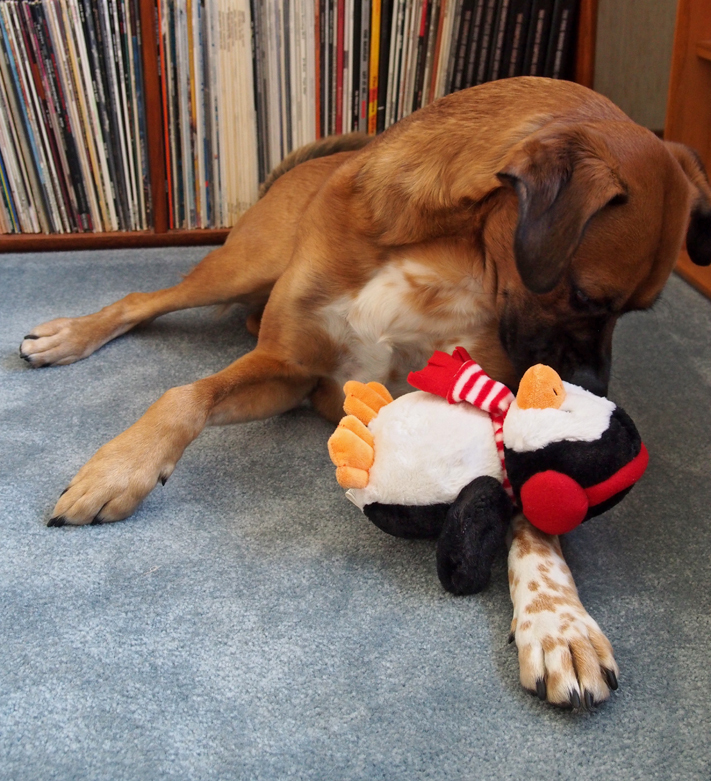 And yes, that penguin is almost as big as Mr. N! 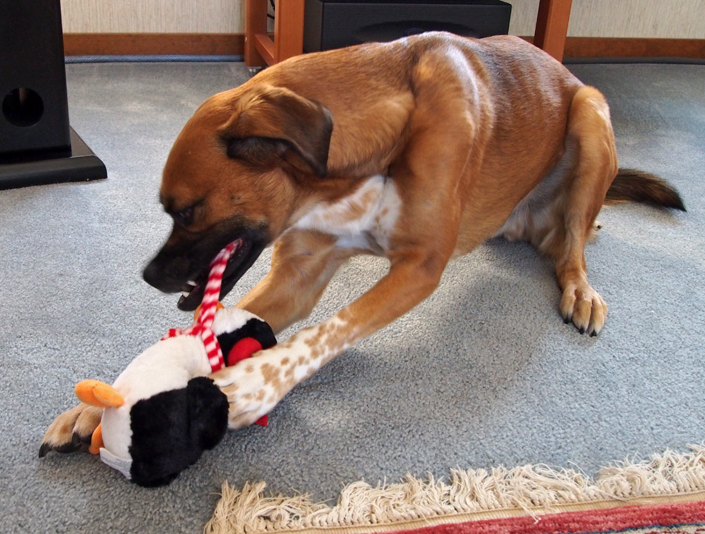 Er Walter, we don’t think you’ve quite grasped the concept of play nicely just yet…. 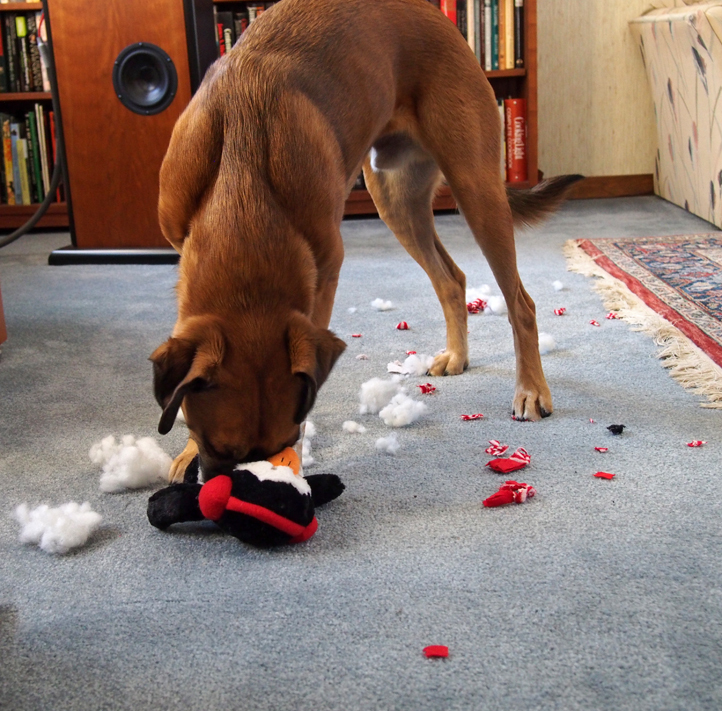 Nice work on destuffing Mr Penguin, Walter! 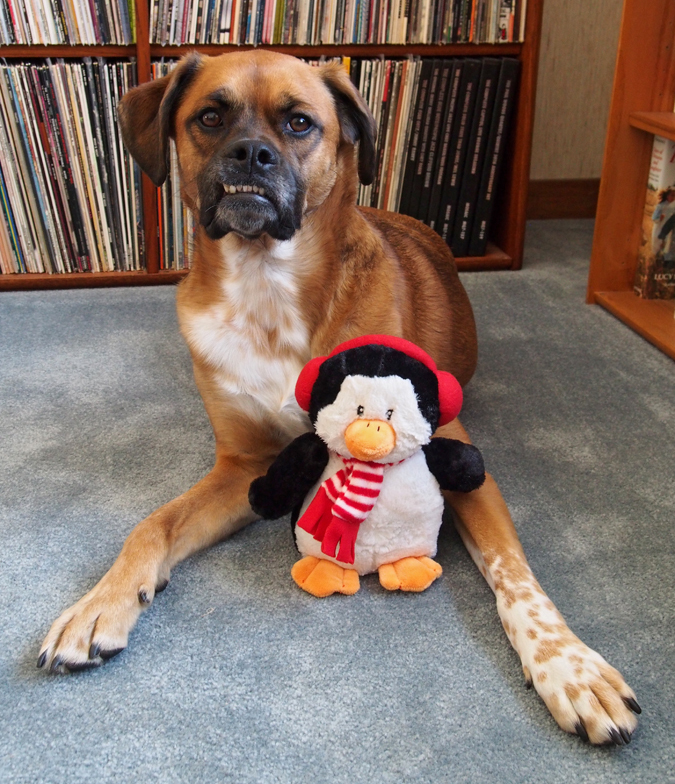 We have a penguin that looks a bit like that….’cept he’s dirty, ’cause we took him outside. Great work, Walter. We like having tug-o-wars with the stuffie skins. Well Walter if you could just get rid of the bad cold weather as fast as you done in Mr. Penguin we all would be singing your praises! EXCELLENT work!! Such attention to detail & precision! Jakey gives your destuffing a perfect 10!! 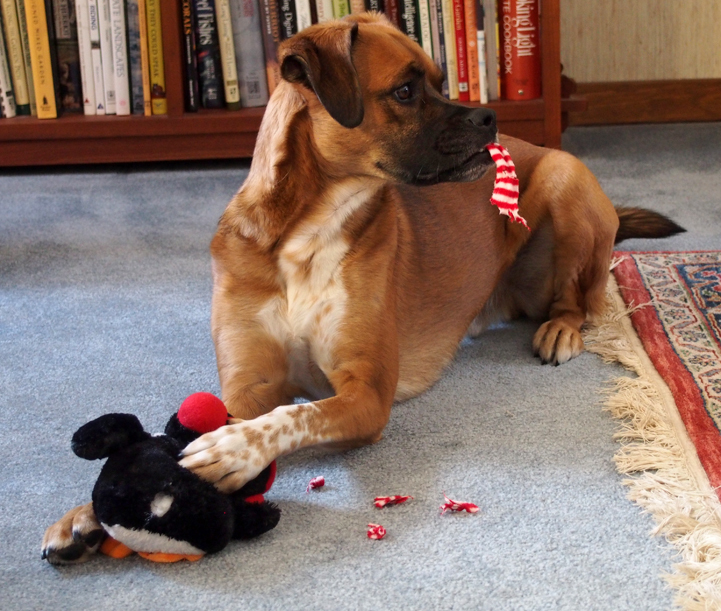 Around here he has Arty and Dory to help eat the stuffing (hide the evidence). Wallace and Samuel summed it up. Bravo. Have a terrific Tuesday. Ah Walter. So happy. It is amazing you guys have the snow and cold. We are finally colder again, but this is a mild winter and I just fine with it. 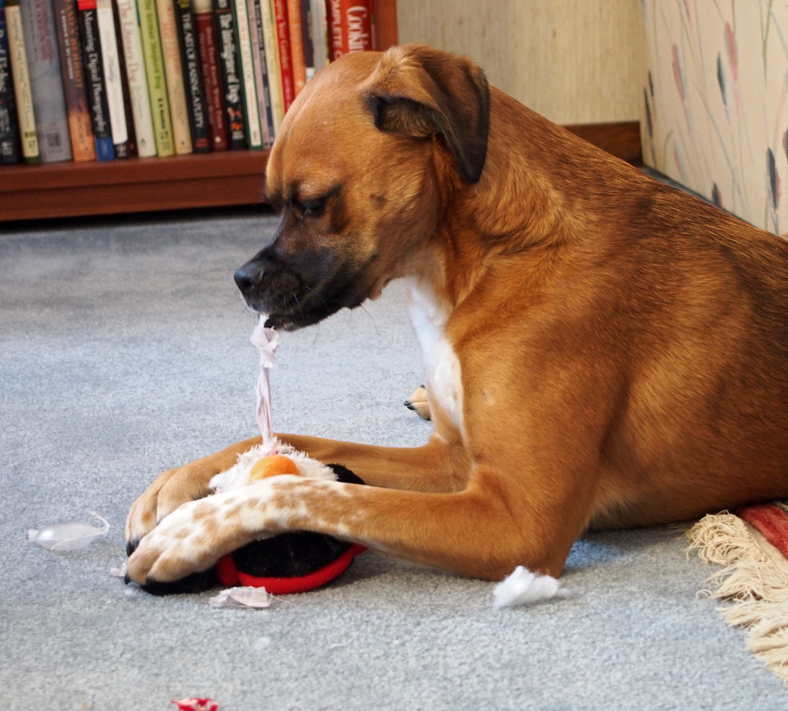 What did Millie do while you were destuffing the stuffie? Good job Walter! 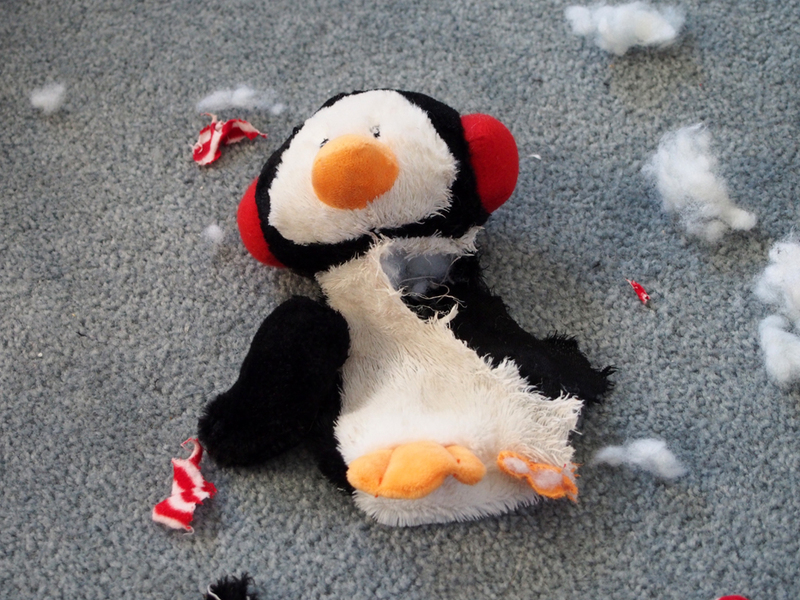 WOW, did you do a great job on that penguin!!! Way to go! Clap, clap, clap. Job well done. What an awesome job! You should be a surgeon, Walter! 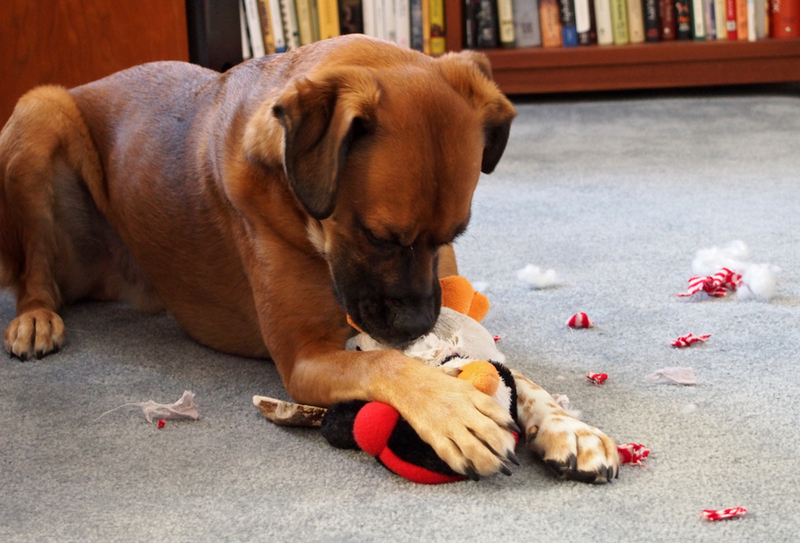 My dogs are so jealous because I never let them do that (I take away the toys when they start) but you’ve inspired me – maybe I should let them destroy a stuffie some day. No doubt – they’d love it like you did! Goodness,, now he has to go to the hospital!! Oh Walter!! 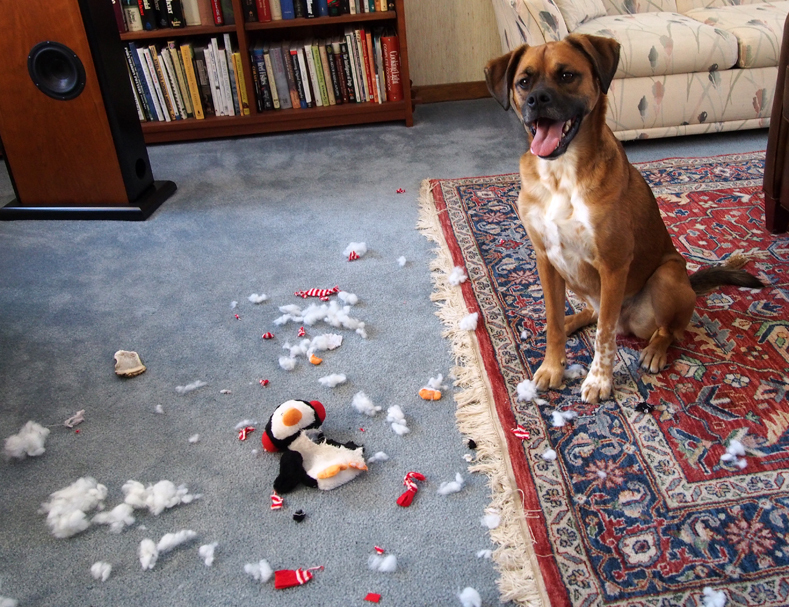 You did a great operation on that stuffie. Angel Weenie used to dead all his too. It made Mommy cry watching you cause you reminded her of how much fun he had just like he always did..